As a mother, the health of my children comes before everything. Are they eating healthy? Do they get enough exercise? Do they drink clean water? Is there lead in the water supply? After studying plumbing for three years at college, I became interested in water safety and how we get clean water. I became involved in research with Dr Simon Reddy at Lead in the Water. Living in the UK, we expect not to have to worry about the quality of our drinking water. But recent studies and events around the world have raised question about the safety of our water here in the UK. In the USA, there have recently been incidents of lead poisoning where high levels of lead have been found in drinking water in schools and homes. In the UK, our water quality is among the highest in the world, that is until it enters our homes and buildings. The danger presents itself in the form of legacy plumbing, which refers to pipes and fittings made of copper alloys installed prior to the introduction of lead-free solder in 1986. The UK has many old and historical buildings including homes, schools, public buildings and hospitals which potentially contain legacy plumbing. A significant amount of old buildings still even contain lead service pipes that connect the underground main supply to the service point. Most council/social housing was built before the introduction of lead-free solder. And many still contain plumbing jointed with it. Source: US Environmental Protection Agency. Lead is extremely toxic, especially to children. Low levels of exposure have been linked to damage to the central and peripheral nervous systems, learning disabilities, shorter stature, impaired hearing and impaired formation of blood cells. Surprisingly, lead is still entering our network. 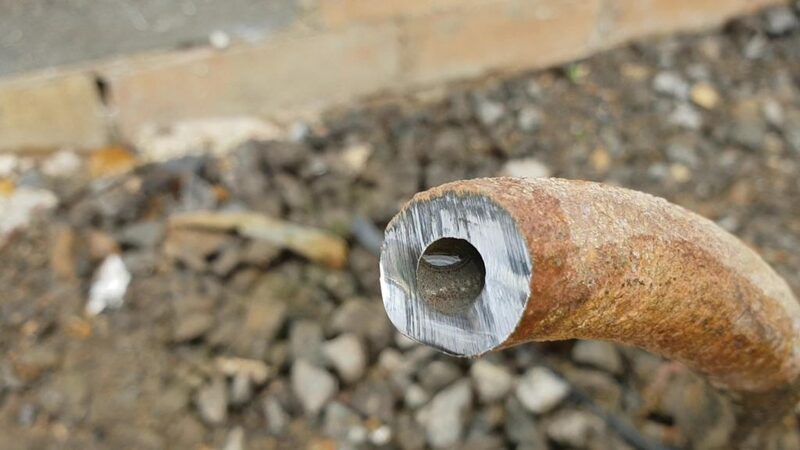 Lead-based fittings are sold in many DIY shops and, due to poor workmanship and inadequate education, it is still being used on copper joints joining drinking water pipes. While most qualified plumbers know and understand the risk of using lead solder, there are many that don’t, and currently there is no way of telling how widespread the problem might be. The recent findings in the Flint USA water crisis case has brought to light the issues of lead in the water supply in the Western world. Questions arise such as: how much legacy plumbing is there in UK homes and schools? How many children are being exposed to toxic lead in drinking water? And what, if anything, is being done to investigate the issue? It is the World Health Organization’s (WHO’s) International lead poisoning prevention week of action between 21-27 October 2018. Read our other blog post about it. An important source of domestic lead exposure, particularly in children, is paint containing high levels of lead. These paints are still widely available and used in many countries for decorative purposes, although good substitutes without lead are available. 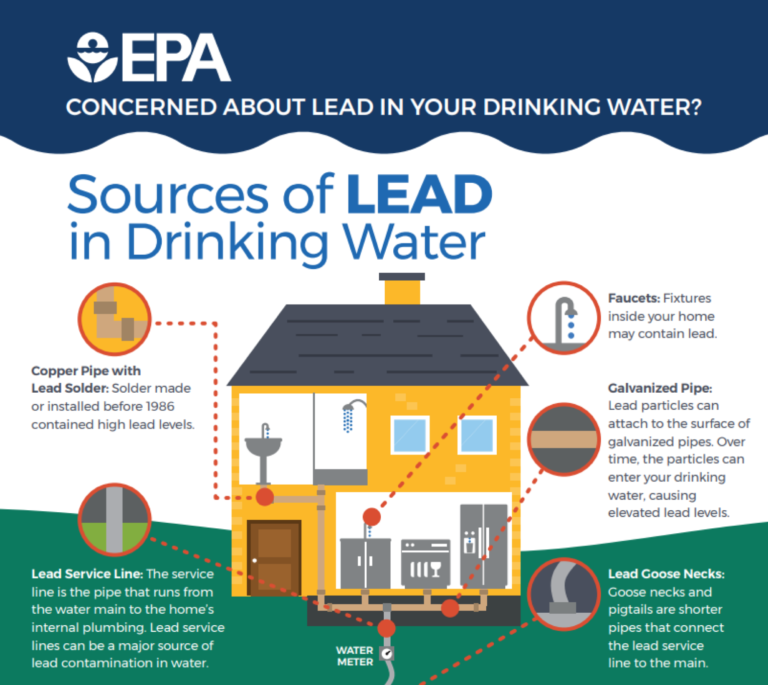 As Lead in the Water is highly concerned with lead exposure in general, we would like to support the important work of the WHO in raising awareness of the negative consequences of using lead in domestic and/or public buildings. Whether this is paint or plumbing – using lead needs to be stopped.